This is our go to muffin recipe because it’s quick, easy, isn’t loaded with sugar and we always have all of the ingredients. My daughters love to help measure, mix, pour and sprinkle to help make these guys. It’s so important to let your children into the kitchen and expose them at an early age to the baking and cooking process. You will not only be teaching them a life skill but hidden inside baking is math, science and nutrition. 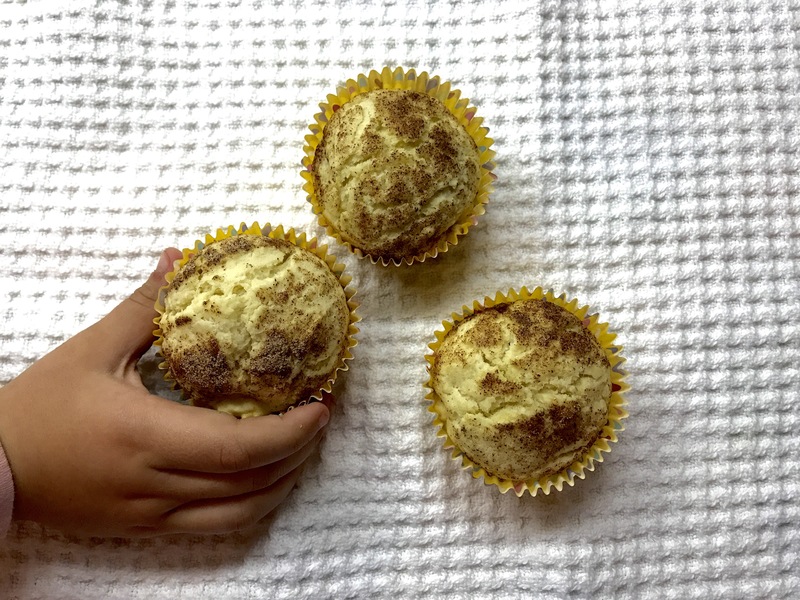 Spend your Sunday morning making these muffins and your kids lunch boxes will thank you!! Add the egg and milk. Stir well. Grease your muffin tin or place liners inside. Fill each muffin tim 3/4 with mixture. Sprinkle on top your desired amount of cinnamon sugar mixture.